This U.S. Ceramic Tile 2 in. x 6 in. 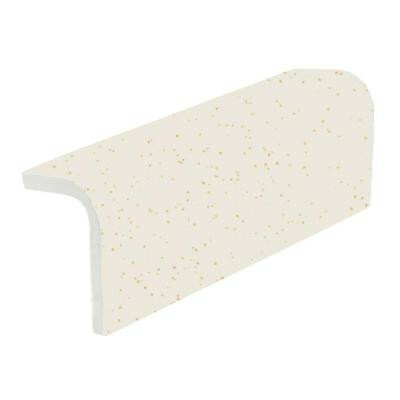 Bright Gold Dust Ceramic Sink Rail Wall Tile has a glazed finish with a glossy sheen for a bright appearance. You can use the tile to enhance interior applications such as a kitchen counter or backsplash or in the bathroom to finish your tiled vanity or shower wall. Coordinate with other colors for a creative design or match the color for a traditional layout as desired. This tile is certified by the American National Standards Institute (ANSI). You can buy this product in our internet market. We will be glad if you make the right choice.